She's unstoppable. Rihanna debuted her latest collaboration with Puma via Twitter recently, which reveals a brand new knit style, edgy Puma sneaker which will also be available in a choice of colours including Whiteout and Red Alert. 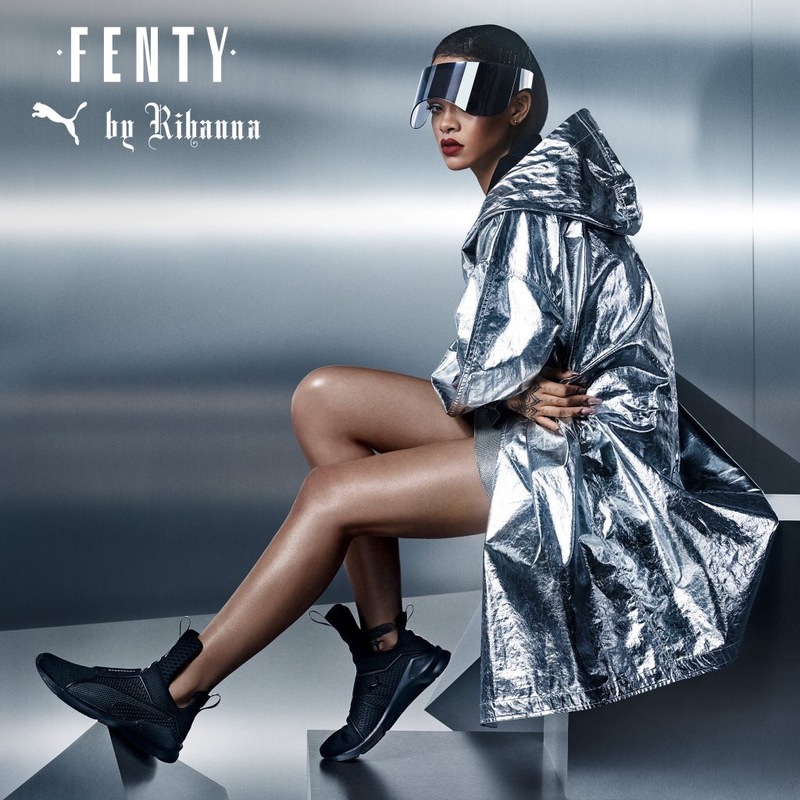 In her stunning promo shot for the sports brand Rihanna wears a pair of sculpted frames from Alexander McQueen teamed up with a reflective hooded jacket from her Puma line.